The Night Shift is a 12-hour theatrical lock-in for anyone interested in rapid-response theatre-making and staying up really, really late. 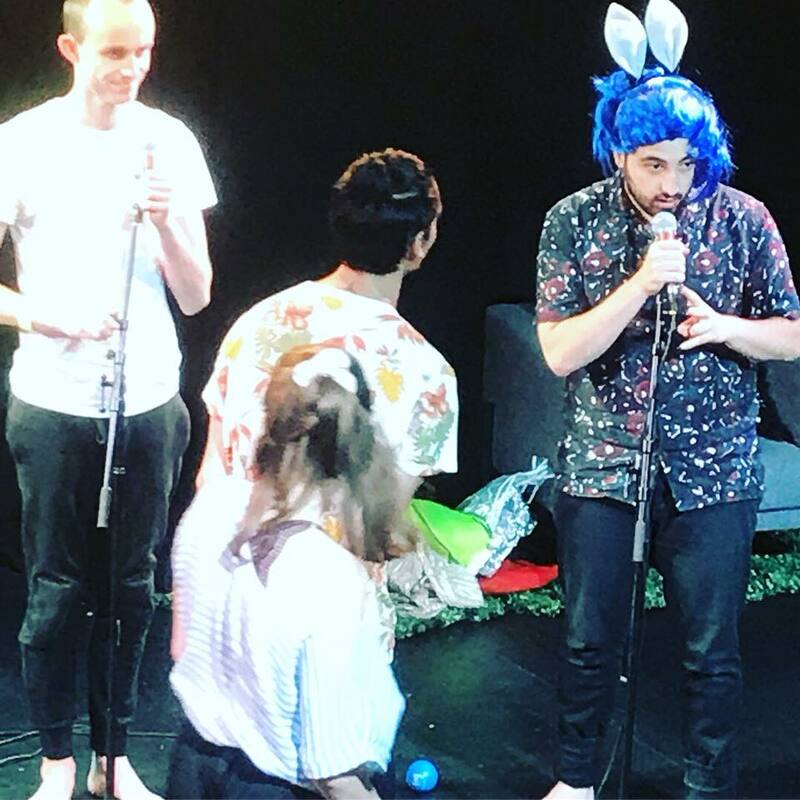 Part devising workshop, part performance-making free-for-all, 10-20 participants are selected in advance via expressions of interest – and, together, we all collaborate and make a spanking new, ensemble-based piece of performance throughout the night. The work is then shared the next morning to anyone who may be interested or curious. “The Night Shift was an eye opening and creative fuelled evening. In order to successfully run the night we require at least one good sized studio space (or similar) with access to a PA system for microphones and audio playback from a laptop, and some basic lighting (general wash states, etc). Chairs and tables are useful, as are pens and paper. Ideally there is the option to break out into other areas of the host venue and work separately in smaller groups at points throughout the night. Themes of exploration are chosen in advance by LaPelle’s Factory and communicated to participants in advance; they can be tailored towards a specific area of interest if necessary. The Night Shift works particularly well within festival contexts and for groups of BA / MA students and other practicing artists (who are not necessarily from a performance background.